Two photographs of Snowden Dwight Flora who was born in 1879 and died in 1957. 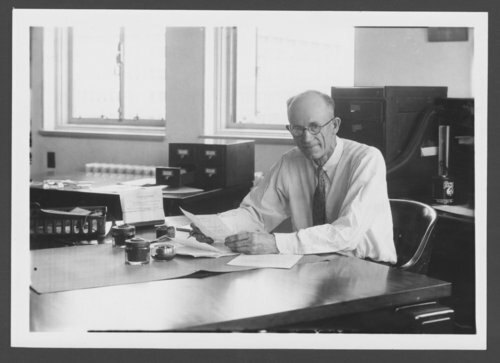 He was the Kansas State meteorologist and climatologist and is best known for studies of the history of weather events such as tornadoes and hail. He is well known for his book, "Tornadoes of the United States."